Share the post "Black Hills Prairie Dog Hunt with TechShooter"
Forum Member Jeff R. (“aJR”) from Australia has crafted a slick, handsome cartridge holder to use with his heavy Benchrest Gun. Composed of two blocks of wood with parallel metal arms, the unit adjusts for height and block angle. Jeff tells us: “This is my new cartridge dispenser I knocked up in the shed. 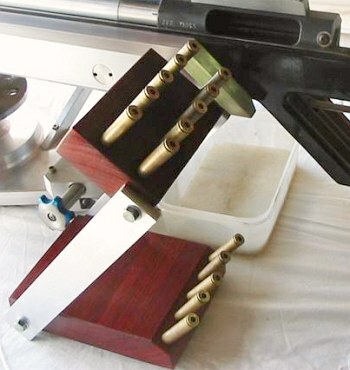 I wanted to get the record rounds up next to the action and this is adjustable for just about any gun/port configuration, right or left.” The cartridge caddy has ten round holes (for record shots) in the top wood block, stacked in two rows. The base piece has five holes for sighters, with the holes cut at an angle for easy access. For the blocks, Jeff used “Jarrah” wood, a deep, red hardwood native to West Australia. Jeff says he did not stain the wood–what you see is the natural color, just sprayed with acrylic lacquer. 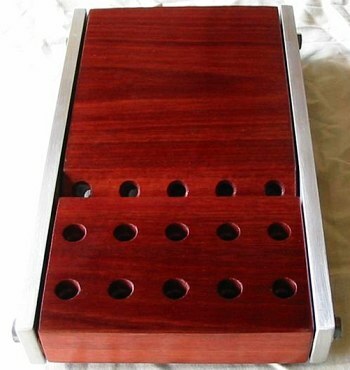 A similar wood available in the USA is Satiné, also known as “Bloodwood”. 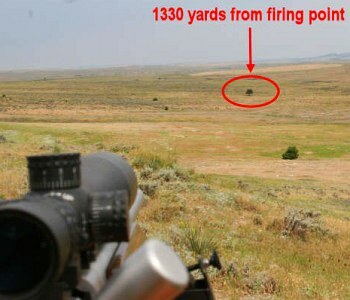 By the way, Jeff’s 1000-yard rifle is worth mentioning in its own right. 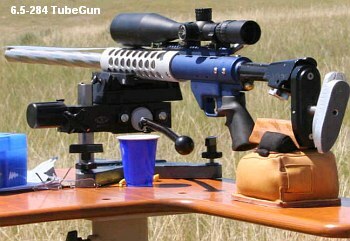 It features a tensioned barrel system, and metal/composite stock. He will be shooting it at a 1000-yard match in Brisbane this weekend. Good luck Jeff. Share the post "Slick Cartridge Caddy From Oz"